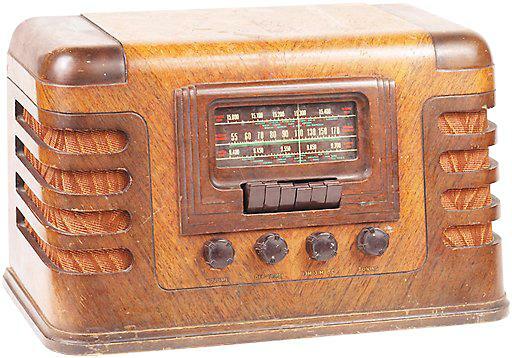 The Thought: Gut a old wooden radio from the 1950's, replace the internal electronics with a small amp, speaker and a raspberry pi. Find a way to hook the PI I/O pins up to a rotary encoder for the station dial. Have the station knob still move the indicator on the display, but also select the MP3 playlist to play. have it start mid file (like a radio). it should play music from the 1950's as well as stations full of "those old radio shows".